SECTION 5.04. READINGS. Each resolution shall be read on one (1) separate day and each ordinance shall be read on two (2) separate days, unless this requirement is dispensed with by a vote of at least two-thirds (2/3) of the members of the Council then holding office. Readings shall be by title only, unless the Council requires that the resolution or ordinance be read in full by a majority vote of its members then holding office. The focus on this debate is the one (1) found in the first line. Currently the City Charter requires three (3) readings. If passed this amendment means that a resolution can be revealed and passed on the same night. The only positive thing about this amendment is that it makes it easier to get items passed, the problem is there are no checks and balances to make sure important items are talked about in public before the night they are passed. If you look at the end of an article I wrote in March of 2011 you will see I am an advocate of changing the Charter to help make passing legislation more efficient. It should not take 90 days for council to authorize selling a broken police car. But if the choice is between too many readings when it comes to selling a police car or too few readings when it comes to building an Aquatic Center, selling 80 acres of land or awarding a contract for Energy Aggregation, then I hope I can convince you it is better to make your council sit through extra readings when selling a police car than it is to let them ambush us with secret projects. Council could add more readings if they wanted too If this change occurs there will be nothing written in the Charter that requires multiple readings so don’t expect it. Council can get around the 3 required readings now. Today, in order to get around the multiple reading council has to go on record through a vote. Also, now it takes 6 members of council to get around multiple readings. If 3 council members think it needs more time it gets more time. 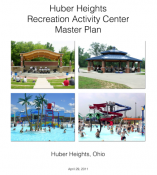 Ordinances are more important than Resolutions The $700,000 that was spent to get the Aquatic Center started on the night we learned about it was done by Resolution; as was the $100,000 spent to get the Music Center which was started on the night we learned about it. When we sell the 80 acres of land it will be done by Resolution. The Rules of Council let people talk twice during the Council Meeting that means there are at least two opportunities for people to comment about a resolution. 1. This is an activity that would happen on the night the issue is revealed. It doesn’t allow for much preplanning. Other Communities do it this way 2. The reference I had originally picked for this block was incorrect making the information incorrect so it has been removed. The Mayor should have come to the June 4th meeting after that it was too late to make inputs. I found out about this change July 5th and have been trying to get it changed since then. Unfortunately Council wasted their opportunity to fix it. Now we have to work to make sure the Charter Amendment doesn't pass this November. It costs about $800 per ballot measure this November because this is a Presidential election year. It will cost about $15,000 per ballot measure next year. 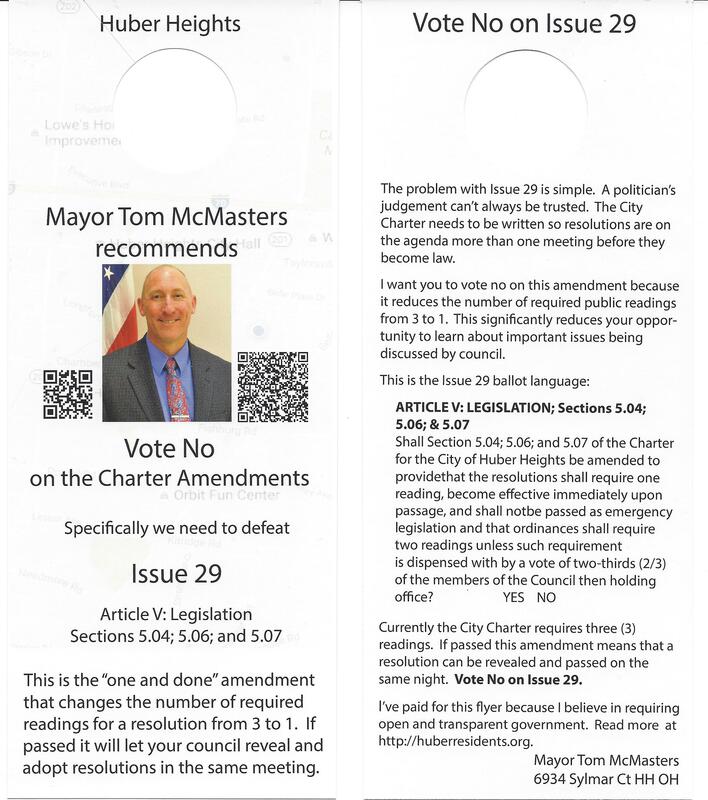 The items relating to Section 5 of the Charter should all be on one ballot measure because they are related. However, there will probably be 5 other ballot measures since those sections are not related. These other measures don’t do any damage but they actually don’t provide any significant improvement to the charter either. As for section 5, it is obvious that informed people will not vote to eliminate their chance to contribute. Even if they never expect to need to go to council with an issue, they are not going to make it easy for politicians to ignore them. So it is likely that all the ballot measures will be voted down. That’s not just a waste of the $4,800 it took to put this on the ballot this year, it is a waste of the $90,000 it will cost to put them on next year after the make smart changes that will help solve the emergency legislation problem instead of this one that makes it worse. Bottom line: The Charter can be changed so that we are more efficient and also provide opportunity for residents to participate. Don’t expect it from the current proposal. Don’t expect anything more than what will be written in the law. This proposal is (1) one reading; Revealed and adopted in the same meeting. That is what the law will require. Unfortunately Council wasted their opportunity to fix it the amendment so that we had something useful to vote for this election. Now we have to work to make sure this Charter Amendment doesn't pass when we go to vote November. Contact information for your council members from the City Website. Document I prepared that contains the current Charter language, a proposal that I think could work and the unsatisfactory language that Council approved. The proposal I support would need to be put into legal language by the city attorney. Also, there are other ways to improve transparency that I could support, this is just the method that I consider the best. Monday July 25th council voted to send some City Charter Amendments to the Ballot in November. One of those proposals makes it standard procedure for council to reveal major projects like the Aquatic Center and Music Center on the same night they decided to spend big money to get them started. The objective of this post is to convince council this is a bad proposal. Last Monday they endorsed going to the voters with a proposal that tears up our commitment to transparency. They still have time to change the proposal and incorporate procedures that help ensure it is standard procedure to give you an opportunity to contribute before they lock in big money projects. The deadline is August 10th, I appreciate your help. Wednesday Aug 3rd's Charter review commission is the last real opportunity for us to be heard in a way that will allow Council to remove the bad proposal from the ballot and replace it with one that increases efficiency while still making it standard practice to allow residents input to major projects. Please come out tonight, 6pm at City Hall and let the commission know 1 and done is unacceptable. This file contains the current charter language, one proposal I think could work and the unacceptable proposal that council has authorized to go on the ballot. Charter Comparison file. If you recall, the meeting we learned about the Aquatic Center was the night council voted to spend $700,000 to get it started and the meeting we learned about the Music Center council voted to spend $100,000 on that project. In both those projects council had to waiver readings and declare the projects emergencies in order to keep them hidden from residents until they were able to lock them in by committing money to them. This council wants to solve that problem by asking you to change the City Charter in a way that would allow them to start projects like this without advanced public input. The current proposal changes the charter so that it becomes standard business practice for resolutions like 2011-R-5431 and 2012-R-5746 to be presented, approved and go into effect on the same night. Proponents of the change tell me that this change will allow Council to have multiple readings if they want to and we should trust that Council will always give us time to discuss it publically if it is important. I prefer for transparency to be the standard, not something council gets to offer us on a case by case basis. 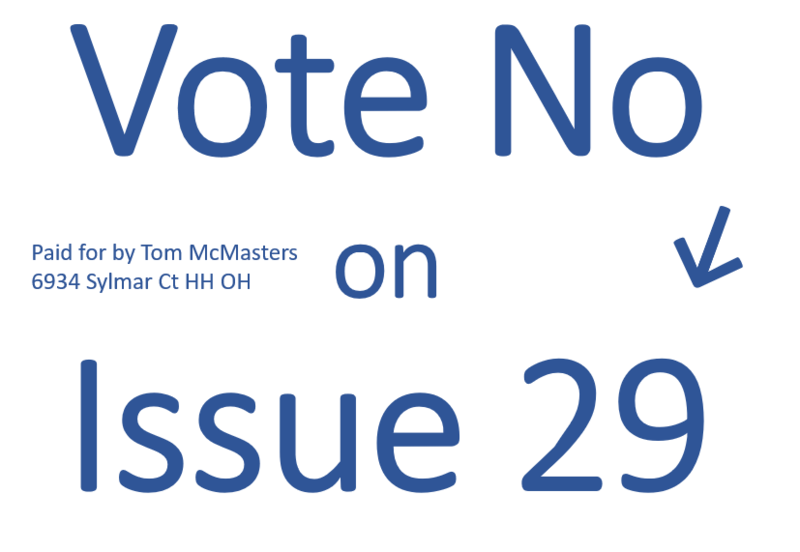 The issue with Emergency Legislation is one that has gotten a lot of attention. In fact, the first time I went to a council meeting I remarked to Council Member Kaleps that passing everything through emergency legislation gave me the impression council was unprepared. I am in favor of making a change so that routine items can be passed in a shorter amount of time. The example I always give is a copier contract. Currently the City Charter requires 3 reading and then 30 days after passage before a copier contract could go into place, unless council waives readings and passes as an emergency. This is ridiculous and needs to be changed. However, that change can not be as broad as this current proposal. As a prime example we are currently in the process of selling 80 acres of land next to Gander Mountain that could appraise for as much as $2 million. Right now I'm concerned that once the negotiations are complete council is going to get word that the prospective land owner is in a rush and would like to ink the deal immediately. I don't think this is the way it should be done. Right now the City Charter backs me up. If council has its way and the Charter is changed, council would be free to tell me residents don't care if they get input or notice on deals like this. The Charter needs to be changed to make council more efficient but the change needs to include a way so that the charter requires multiple readings for projects as costly as the Music Center, the Aquatic Center and the purchase or sale of million dollar properties. This could be done by setting a dollar limit. It could be done by listing specific types of contracts or expenditures that don't need multiple readings. It could be done by counting discussions that occur publicly in open committee meetings. There are a number of different ways to attack the problem. Eliminating the transparency that comes with requiring the public gets notice before major decisions are made is a proposal I will have to actively oppose. Read the proposed ballot measure and see in section 5.04 on page 4 that resolutions can be voted on the first meeting they are presented and then in section 5.07 the 30 day wait period before taking effect is removed. Since there is no wait period resolutions do not need to be addressed in section 5.06 which covers Emergency legislation. 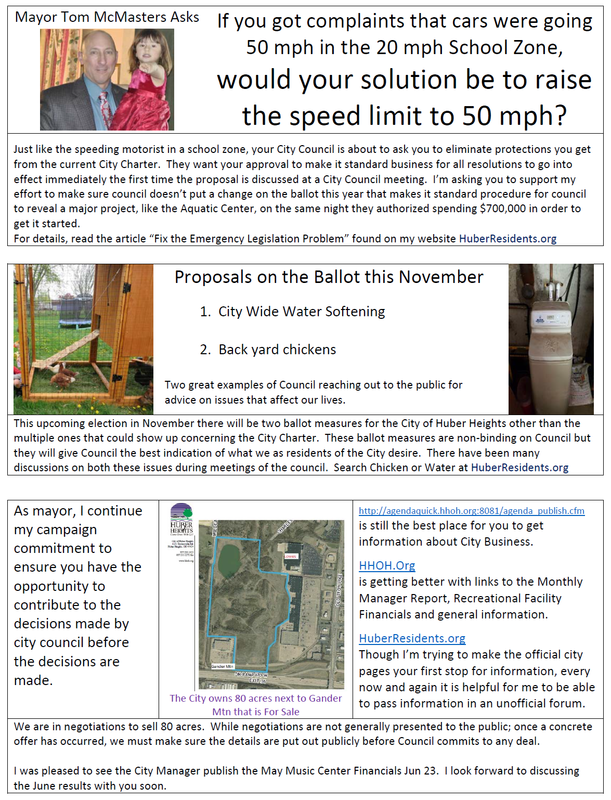 Yes, council wants you to solve the problem of people speeding in the school zone by raising the school zone speed limit to 50 mph. Of course, people would be allowed to go 20 mph if they wanted to. 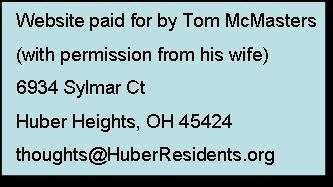 Contact information for you council members from the City Website. I'm sure most of you would vote against this legislation if it is on the ballot like it is in this proposal. If you are part of the silent majority then that is what we will get. However, with the right change the Charter will be better. If you are proactive and let your representative know you want responsible legislation this can still happen before August 10th and be on the ballot this November. would your solution be to raise the speed limit to 50 mph? Just like the speeding motorist in a school zone, your City Council is about to ask you to eliminate protections you get from the current City Charter. They want your approval to make it standard business for all resolutions to go into effect immediately the first time the proposal is discussed at a City Council meeting. I’m asking you to support my effort to make sure council doesn’t put a change on the ballot this year that makes it standard procedure for council to reveal a major project, like the Aquatic Center, on the same night they authorized spending $700,000 in order to get it started. Correction - I started to verify Mr. Shaw's claim that other communities did it this way and started with Oakwood. Turns out my internet search picked Oakwood Village in a different part of Ohio which is not the Oakwood nearby. Giving people the opportunity to make sure I have or have not made a mistake is why I provide references and appreciative when people check them. My original post is below so that you can see the mistake I made. Keep in mind when you read it that this is not the nearby Oakwood. Other Communities do it this way 2. until recently I took at face value the claims made by Mr. Shaw and Mr. Truman in their effort to promote the changes to the legislative process. Because they continue to misrepresent the ramifications of this proposal, I thought I would begin to look into the claim that most cities do it this way. As recently as yesterday Mr. Truman made this statement on Facebook, "I think we could all agree that cities like Oakwood and Kettering are doing fairly well for themselves. According to this chart they have similar readings as is proposed." So I started my verification process by looking up Oakwood. I’ll post the Oakwood Charter language at the end of this section but what Oakwood requires is 3 readings and a 30 day wait period for resolutions and ordinances. Sec. 7.12. ACTION BY THE COUNCIL. The action of the Council shall be by ordinance or resolution, except that action by Council not required by this Charter or law to be by ordinance or resolution, may be taken by motion approved by at least four (4) members of Council, and on the passage of each ordinance or resolution the vote shall be taken by “yes” and “no” and entered upon the journal, but this shall not apply to the ordering of an election, or direction by the Council to any board or officer to furnish it with information as to the affairs of any department or office. An affirmative vote of at least four (4) members of Council shall be required for the passage or enactment of every ordinance or resolution. No bylaw, ordinance, or resolution, of a general and permanent nature, or granting a franchise, or creating a right, or involving the expenditure of money, or the levying of a tax, or for the purchase, lease, sale, or transfer of property, shall be passed, unless it has been fully and distinctly read on three different days, and with respect to such bylaw, ordinance, or resolution, there shall be no authority to dispense with this rule, except by three-fourths vote of all members elected to the Council, taken by “yes” and “no”, on each bylaw, resolution, or ordinance, and entered on the journal. Sec. 7.13. EFFECTIVE DATE OF ORDINANCES AND RESOLUTIONS. Each ordinance or resolution providing for (a) the appropriation of money, (b) an annual real or personal property tax levy, and (c) improvements petitioned for by the owners of a majority of the foot frontage of the property benefited and to be specially assessed therefor, and (d) any emergency ordinance or resolution necessary for the immediate preservation of the public peace, health or safety, shall take effect, unless a later time be specified therein, upon its signature by the Mayor, or upon the expiration of the time within which it may be disapproved by the Mayor, or upon its passage after disapproval by the Mayor, as the case may be. No other ordinance or resolution shall go into effect until thirty days after its passage or adoption by the Council. Each emergency measure shall contain a statement of the necessity for such emergency action and shall require the affirmative vote of two-thirds of the members of the Council for its enactment. No action of the Council (a) relating to any changes in the boundaries or the zoning ordinances of the Municipality, (b) providing for the surrender or joint exercise of any of its powers, (c) granting any franchise, or (d) contracting for the supply to the Municipality or its inhabitants of the product or service of any utility, whether Municipally owned or not, or (e) levying an income or excise tax shall be taken as an emergency measure.